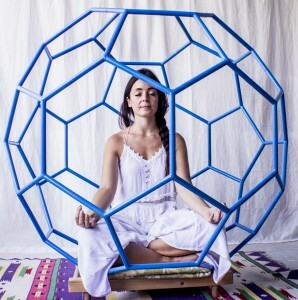 Meditating inside one of the polyhedra allows us to leave outside that of which we have too much within us, what we don’t need to be HAPPY. 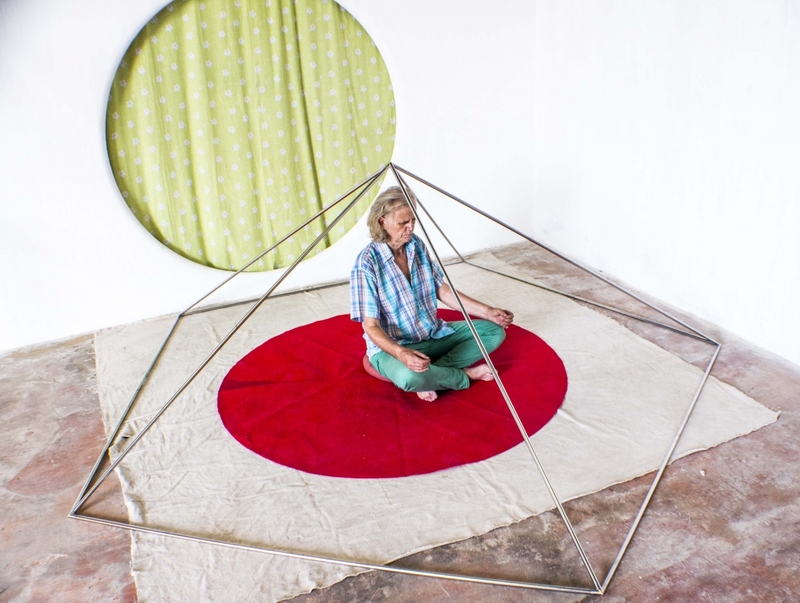 The internal resonance of the polyhedra releases tensions from the energetic tissue. 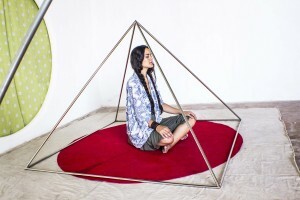 When we enter with concience, their interior becomes a sacred space, a gate through which we pass from ordinary space-time to fractal healing space-time. 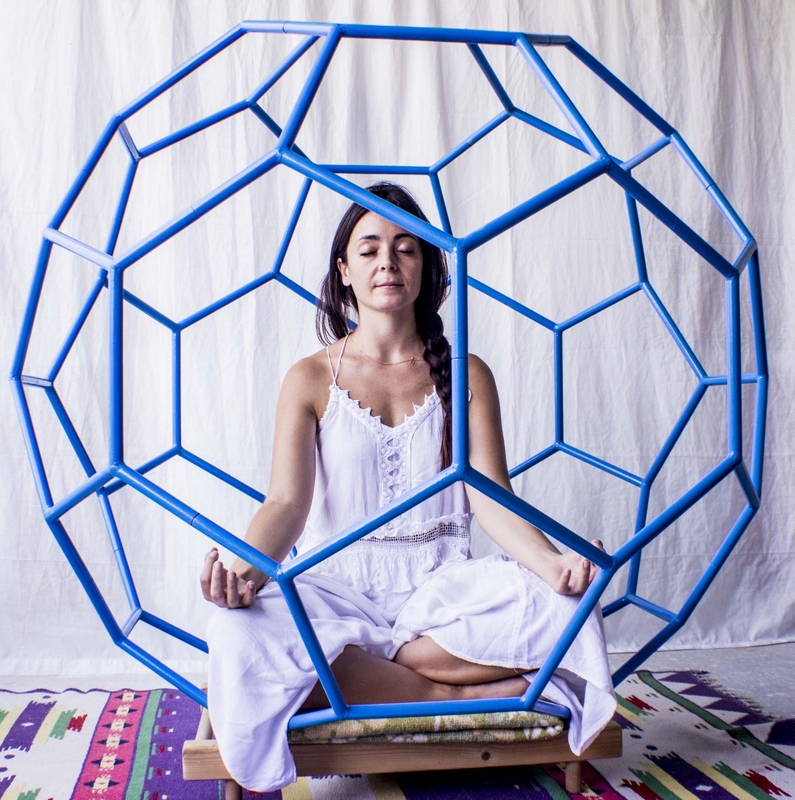 The polyhedra for meditation are created with tubes of stainless steel in a size that allows us to meditate while sitting inside and in a bigger size for meditating while standing inside.